Congratulations to our Cooper Home Graduates! Congratulations to our Project Search Graduates! Our community workforce is lucky to have you all! This past April, several PSD IS teachers of Elementary ILS and Autism programs, along with our SWAAAC (Statewide Assistive Technology, Augmentative, and Alternative Communication) Team participated in the CDE SWAAAC Distance Spring Training – Spring into AACtion: Literacy Inspiration Quick Kits. This training was designed to target teaching literacy to students with complex communication needs. During this training we developed literacy lesson plans and curricula for these students using storybook themes. We adapted story books, identified accessible activities and manipulatives, and identified learning outcomes across the 5 areas defined by the National Reading Panel. On Friday, May 18, 2018, Colorado Governor John Hickenlooper visited Fort Collins to sign SB 18-145 which is to “Implement Employment First Recommendations – Concerning the implementation of employment first advisory partnership recommendations to advance competitive integrated employment for persons with disabilities, and, in connection therewith, making an appropriation” (SB 18-145). The signing was well-attended by community members, including several student groups from Poudre School District Integrated Services. Reminder – Makers’ Market at RMHS – Saturday, May 12th 10 A.M. – 3 P.M. – Open to the Public! 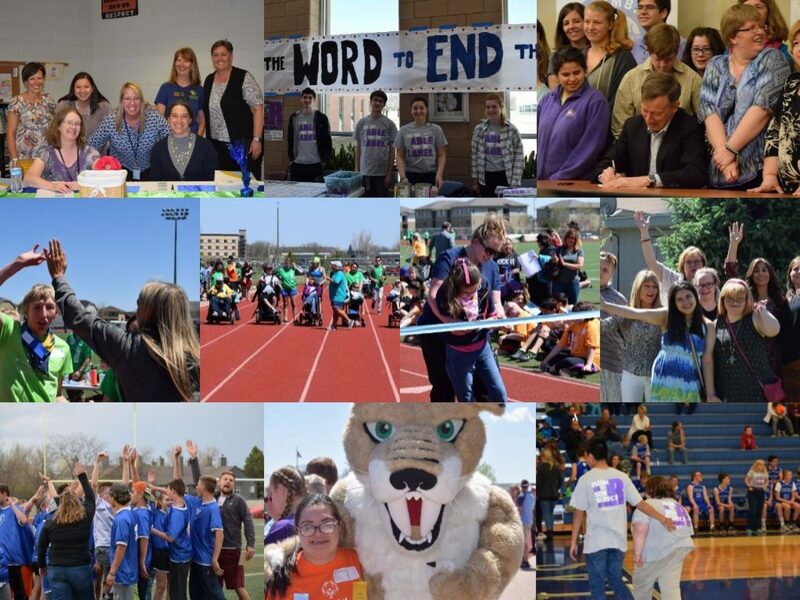 “Fill the Heart” R-Word Event – borne out of a Mom’s passion for acceptance and inclusion.